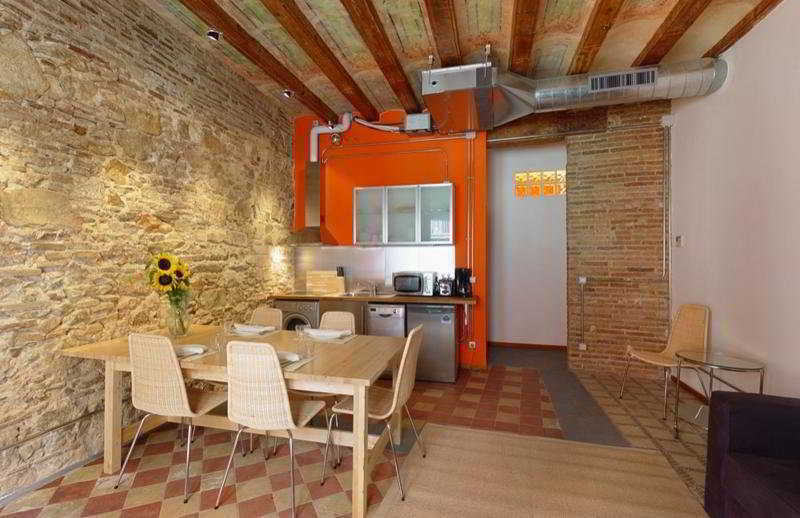 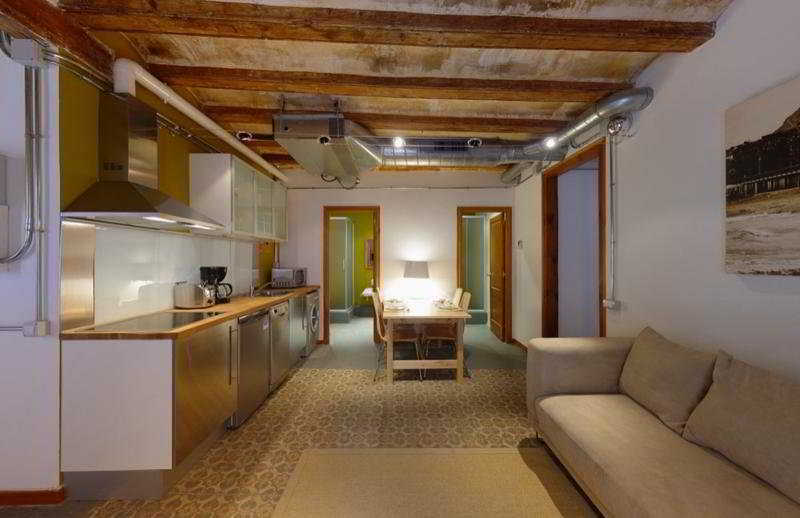 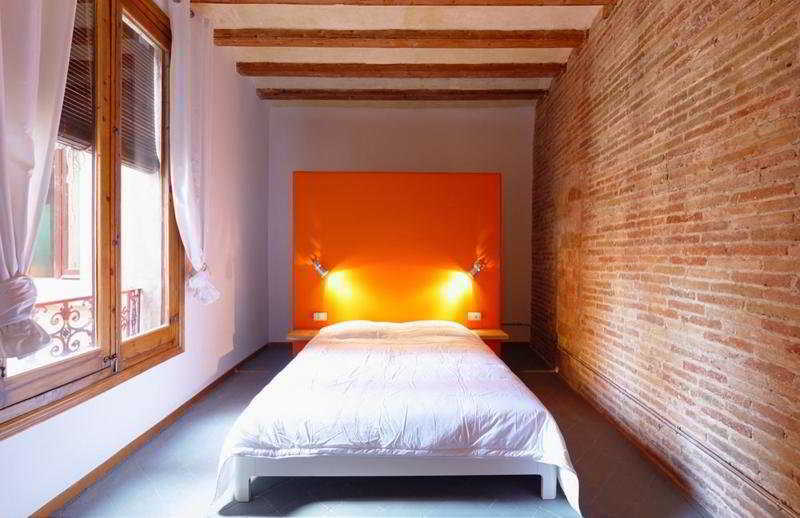 This complex is located in the district of Raval, surrounded by bars and nightspots and only a 10-minute walk from Las Ramblas, Plaza Catalunya and the Gothic Quarter. 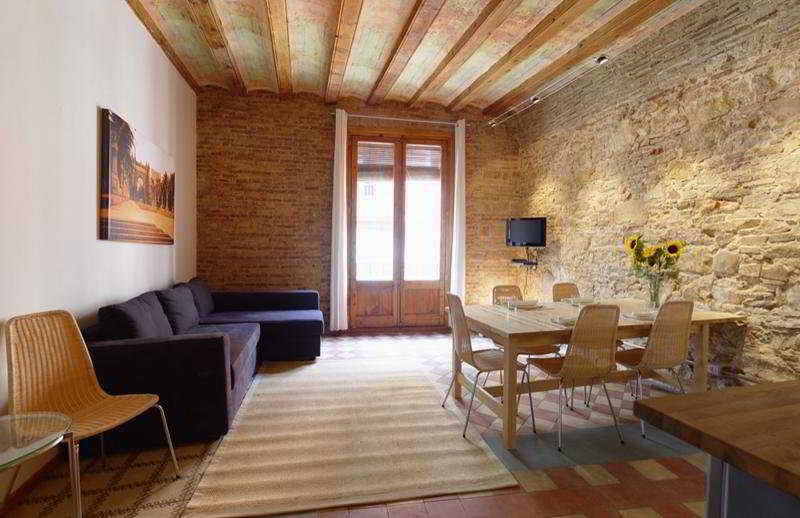 The closest metro station is Liceu and it is just a 15-minute walk from Barceloneta beach and Port Vell Harbour. 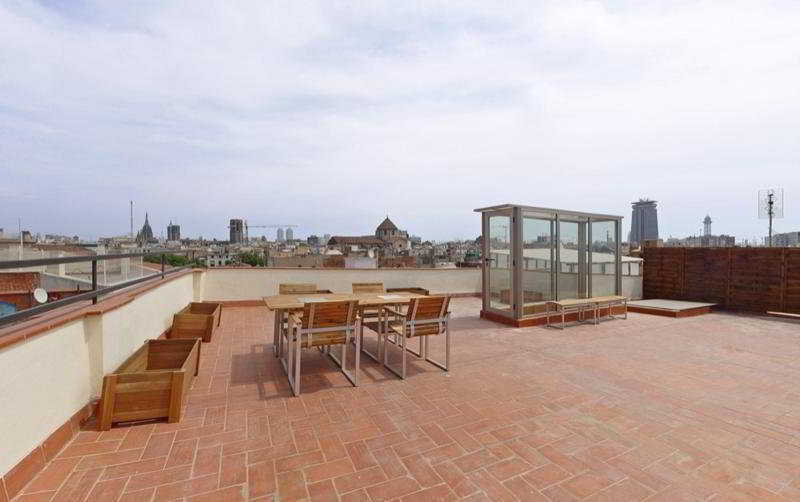 Barcelona Airport is 13 km away.This city apartment hotel comprises a total of with 9 apartments, including 4 apartments with 3 bedrooms, 4 apartments with 4 bedrooms and 1 penthouse apartment with 2 bedrooms and a private terrace. 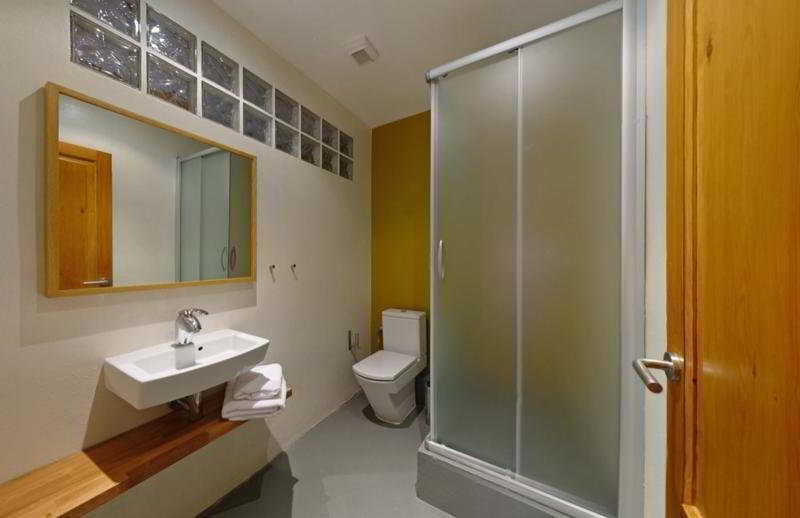 The building has lift access and WLAN Internet access.All apartments come with a private bathroom with a shower, a sink and WC and offer a double bed. 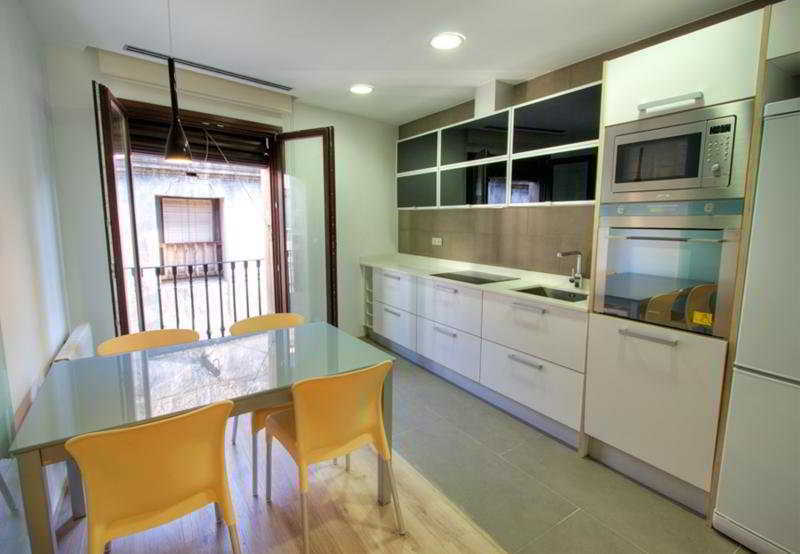 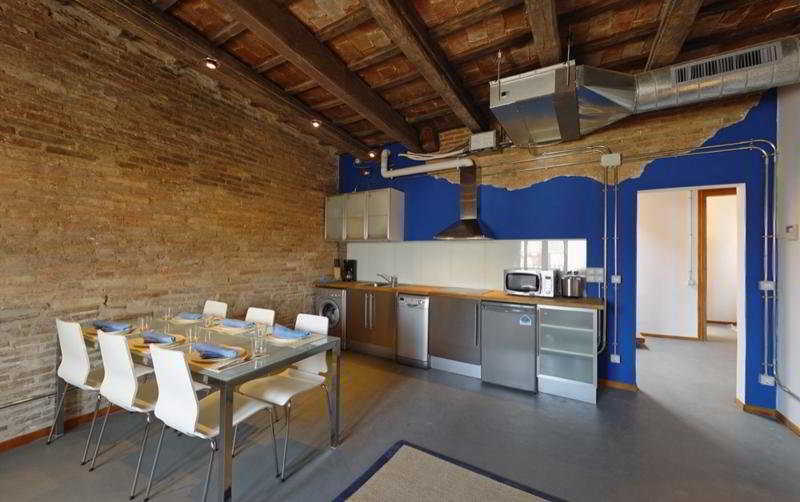 They have a fully equipped open kitchen with a microwave, a washing machine and a dishwasher. 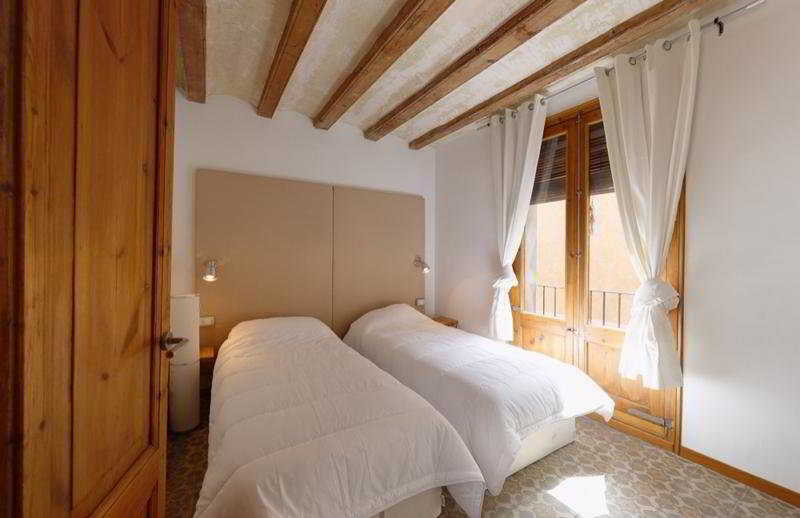 Furthermore, tea and coffee making facilities, air conditioning and centrally regulated heating are provided in all accommodation as standard.Guests arriving from Sants station should take the green metro to Liceu and walk down Las Ramblas, towards Paseo Colon, turning right into Calle Hospital where the property is located.